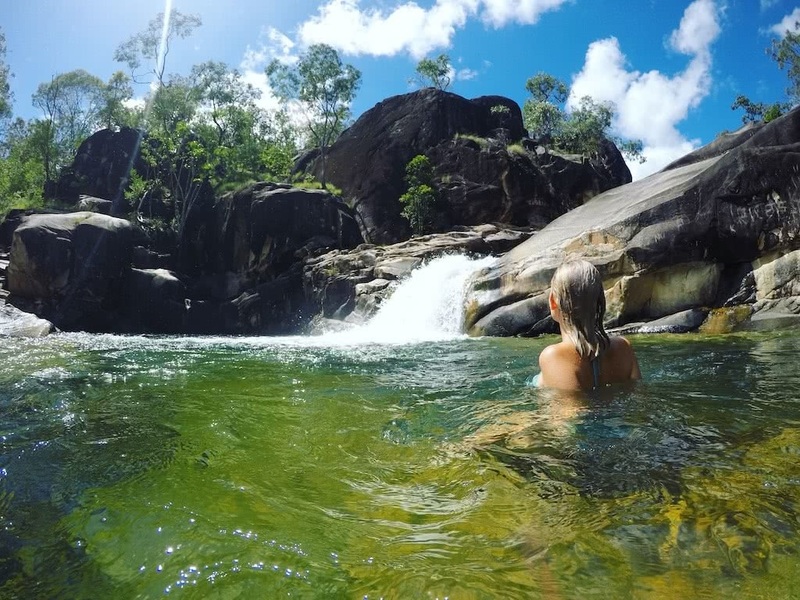 One hour north of Townsville, in Big Crystal Creek in Paluma Range National Park, you’ll see a waterfall to your left and a rock slide to your right… ummmm hello wonderland! 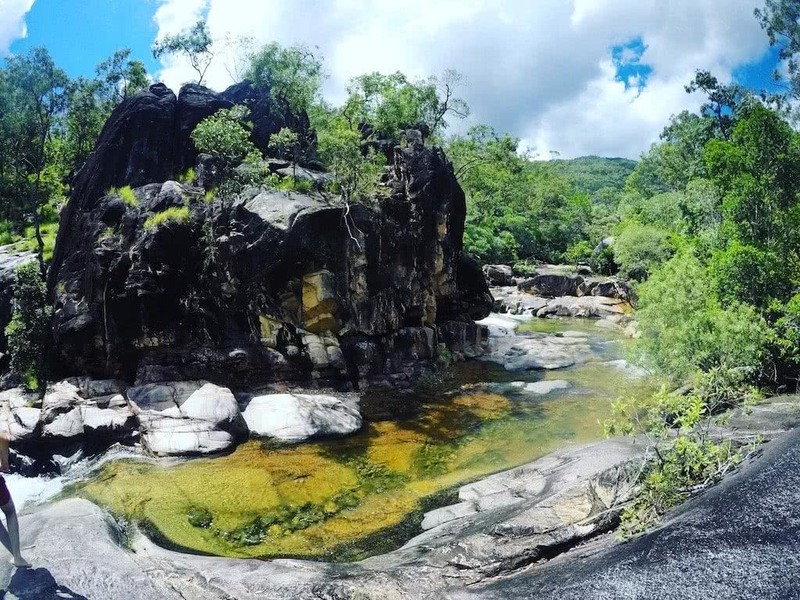 This absolute gem can be found not too far north from Townsville. Take a left onto Barrett road from the Bruce highway, and then another left onto Spiegelhauer Road and drive for about 20 minutes. You will pass a free camping spot on the right (through a little gap between the shrub, positioned right on the creek bed!) 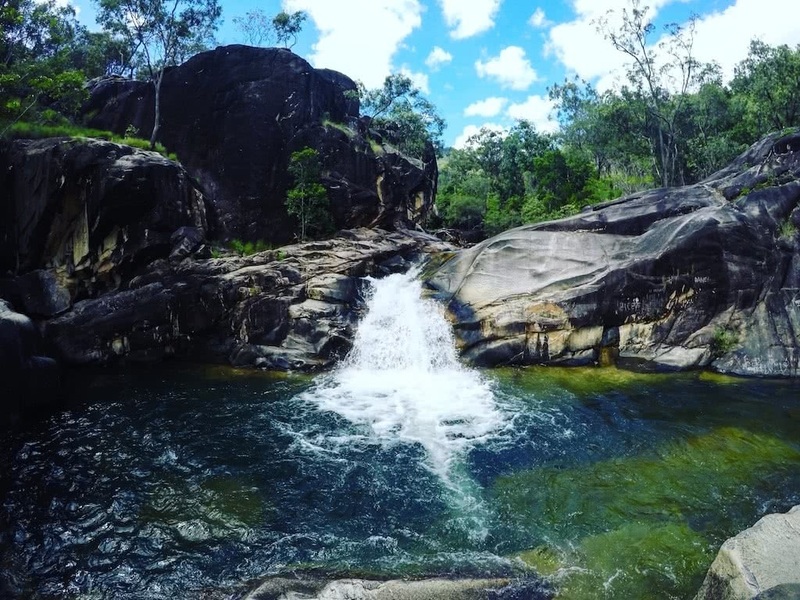 as well as Paradise Waterhole – which also has a campsite that is to be booked online prior. A little shy of 2km past Paradise you will come to a dirt lot, so park up and then continue by foot following the road beyond the gate about 500m until the signpost directs you to the left. This will bring you out at a spectacular waterhole where hours are needed to explore this spot properly! 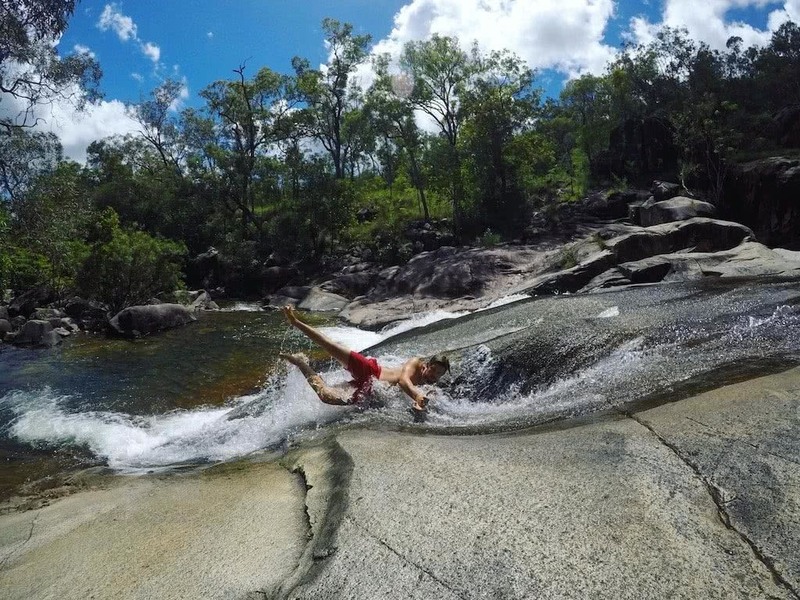 Don’t be too shy to ride the rock slides down and make a splash, or frolic further upstream to find more pools. The rock slides are insanely fun and you can actually get a fair bit of speed, but expect a little graze or two if you’re like me and are looking for the edge that will give you the most air. For those of you not tempted by the slip ’n’ slide, you can retreat to the tranquil waterfall and splash around in the crystal clear green pool. 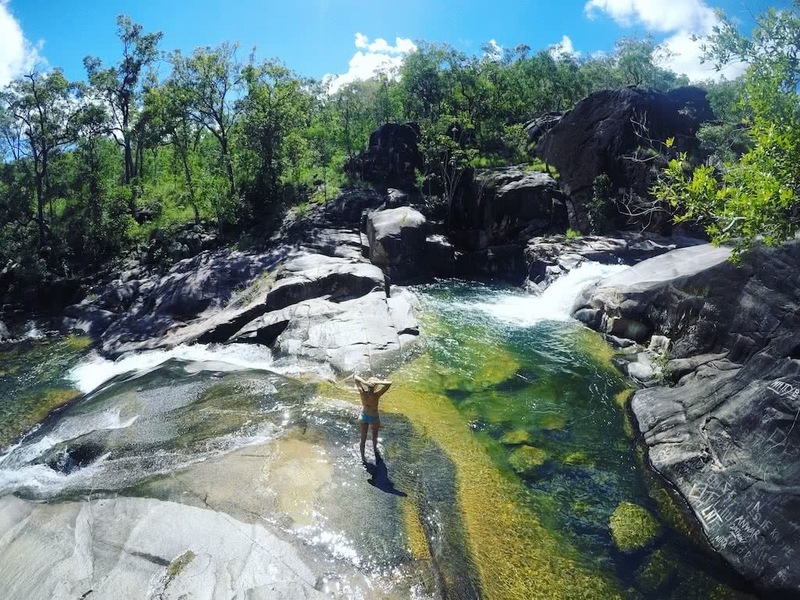 This for me, was the ultimate swimming spot on the coast of Queensland. A small town country girl with a big, fat passion to explore and to inspire others to see the world. Currently rolling around her homeland in a van she calls 'The Cream Dream' in search of waterfalls, wineries and all things wildly wonderful.